Much to my daughters' dismay, there are a variety of subjects where I don't have a favorite. I can't pinpoint my favorite color, one specific favorite food, a favorite animal... I don't know, they're just equal in my mind, I guess. In stark contrast, there are some things in which choosing a favorite is immediate. Favorite number? Four. Favorite season? Fall. Favorite bagel? Bruegger's Bagels, definitely Bruegger's! 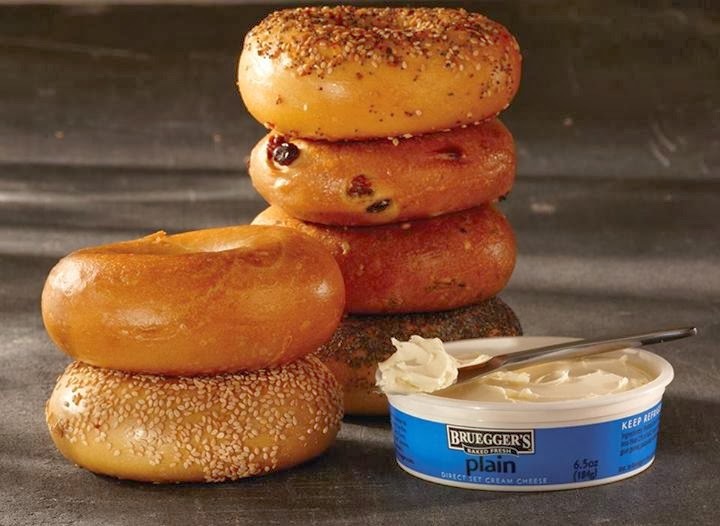 The first to bring New York-style bagels to neighborhoods across America, Bruegger's Bagels began in 1983 and can now be found in more than 275 locations across North America. As well as being known for their amazing bagels baked fresh throughout the day, Bruegger's also offers its guests a variety of menu items that includes fresh-baked breads, proprietary Vermont cream cheese varieties, custom-roasted coffee, breakfast sandwiches, garden-fresh salads, hearty soups, lunch sandwiches, panini and desserts, seasonal and geographical specialties, and more. My mouth is watering just thinking about biting into any one of those soft, chewy bagels right now... mmmm! But Bruegger's Bagels does more than just make taste buds happy across the country, they are a company that gives back as well. 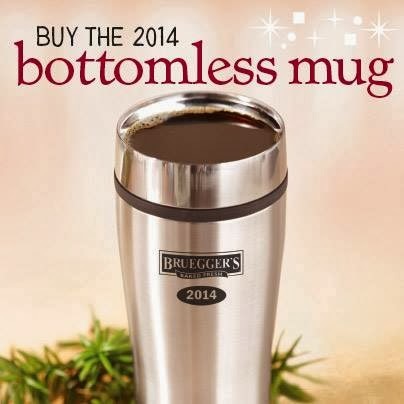 Most recently, Bruegger's kicked off its annual fundraiser for Children's Miracle Network Hospitals with a coffee campaign that benefits children's hospitals across the U.S.
First up, the 2014 Bottomless Mug is now available! Bruegger's Bagels Bottomless Mug program began 11 years ago and has been helping children's hospitals since 2010. Guests who purchase a Bottomless Mug receive free coffee, tea and soda for the remainder of 2013 and throughout 2014, potentially saving hundreds of dollars per year. Talk about a deal! If you are a regular to Bruegger's, the Bottomless Mug (cost varies per location but a Mug is approximately $169) can easily pay for itself by the end of 2013 and then will result in free coffee for all of 2014! Even better, however, while guests enjoy the benefits of the Bottomless Mug, they are also contributing to a worthy cause in their communities — a portion of the proceeds from every mug sold goes directly to Children's Miracle Network Hospitals! That's not all! 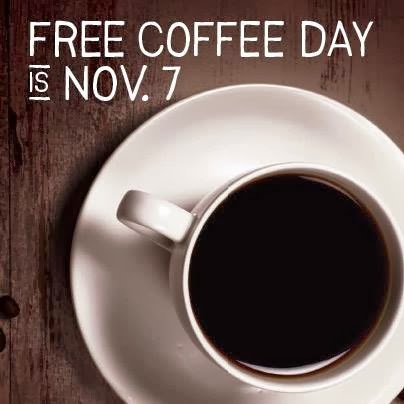 Guests also can contribute to Children's Miracle Network Hospitals by participating in Free Coffee Day this Thursday, November 7th. Until 2 p.m., guests who stop by Bruegger's can enjoy a free cup of coffee and donate spare change (or more) to help change a child's life. In 2012, guests contributed more than $25,000 on Free Coffee Day! Since 2010, Bruegger's Bagels has donated more than $250,000 to benefit kids and families in need through Children's Miracle Network Hospitals. In addition to the coffee campaign, Bruegger's neighborhood bakeries host fundraisers and events for local children’s hospitals throughout the year. 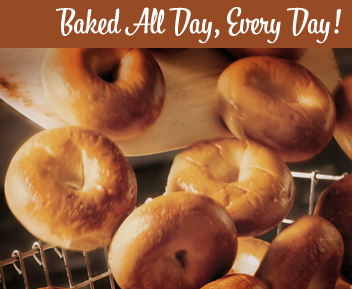 For me, that just makes their authentic, award-winning New York-style bagels taste even better! "Bruegger’s Bagels is such a valued partner, raising both awareness and funds for our local hospitals," said Clark Sweat, chief corporate partnerships officer at Children’s Miracle Network Hospitals. "Through sales of its coffee mugs and the support of its guests, Bruegger’s Bagels helps us do more good for millions of children and families across the U.S."
Whether you have long enjoyed Bruegger's Bagels and all of their delicious offerings or this is the first that you're hearing of them, be sure to pick up your Bottomless Mug and head over for free coffee on November 7th! Find out much more about Bruegger's, their menu, their locations and more by visiting Brueggers.com and connecting with them on Facebook and Twitter. One lucky person will win a $10 Bruegger's Bagels gift card! A big thank you to Bruegger's for providing a gift card for me as well as for one lucky giveaway winner. The opinions shared are my own and honest and if you really need to see more, click here to see how I roll. Everything bagel with smoked salmon cream cheese. I love the cinnamon sugar bagel but hate cream cheese. everything bagel with smoked salmon cream cheese for me! wish I had one right now!!! thanks! I love a plain bagel with pineapple cream cheese. Yum! Love the asiago parmesan bagels. If I'm wanting sweet, I'd go with Cinnamon Sugar, but if not, I'd get the Asiago one! Yummy! I love an cinnamon and sugar bagel with lite strawberry cream cheese. I like onion bagel with plain cream cheese. I love the Rosemary Bagel and Jalepeno cheese! I love pumpkin bagels with butter & cinnamon sugar. I like an Everything bagel with light cream cheese. I like the Rosemary Olive Oil bagel with the Light Herb Garlic cream cheese. I love their Herbie Turkey sandwich. My favorite bagel is a plain one though with peanut butter. I like Everything Bagels with plain cream cheese. usually honey whole wheat with plain cream cheese but at this time of year-pumpkin bagel w pumpkin cream cheese is amazing! Salt bagels with bacon scallion cream cheese. I like blueberry bagels with strawberry cream cheese. Blueberry bagel is my favorite flavor. I like cinnamon raisin with original cream cheese the best. I love their cinnamon sugar with plain cream cheese! my favorite type of bagels are sesame seed, and i enjoy the plain cream cheese, thank you! I typically do plain chocolate chips bagels! I'm not much of a cream cheese girl. I love the Honey Walnut cream cheese and their French Toast bagel. I love their veggie cream cheese on their sesame seed bagels. Perfect for lunch! I like a plain bagel with veggie cream cheese! Chive cream cheese and onion bagel! I love honey oat bagels with blueberry cream cheese! An everything bagel with chive cream cheese! My favorite is a plain bagel with plain cream cheese. i love a good everything bagel! I like a plain bagel with strawberry cream cheese. I think mine is a toss up between cinnamon crunch bagels or blueberry bagels, both with plain cream cheese. I love their salt bagel with veggie cream cheese. So good! My favorite is plain bagel and cream cheese. My absolute favorite is the salt bagel and bacon scallion cream cheese! My favorite bagel is plain with strawberry cream cheese. Cinnamon Raisin Bagel with Honey Nut cream cheese... yum! I love their sun dried tomato with regular cream cheese. My favorite is Everything Bagel with Veggie Cream Cheese! I like plain bagel with plain cream cheese. I like garlic and herb cream cheese on a plain bagel. Multi-grain bagel with pineapple cream cheese. I love Everything Bagels with Smoked Salmon cream cheese! My favorite flavors are cin raisin, egg, and blueberry. Plain bagel with light cream cheese. Cinnamon Crunch with plain cream cheese is my favorite. I like the asiago parmesan bagels. It's a toss-up between whole wheat and cinnamon raisin! Combo bagel with veggie cream cheese. The everything bagel is my favorite for sure!! I like the everything bagel with strawberry cream cheese. I heart an onion bagel with vegetable cream cheese! Oatmeal bagel with cream cheese. I like Cinnamon Raisin bagels. Onion bagels are my favorite. I love onion and garlic bagels! I love the cinnamon sugar bagel with regular cream cheese, yumm!.